Have you been looking for the ultimate adjustable Benchrest trigger? Look no further than this "Cadillac" of all adjustable triggers! 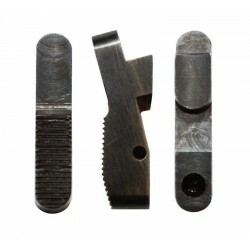 Our PTG Precision Kenyon-Style Adjustable Benchrest Trigger has been meticulously precision manufactured for your Remington 700 rifle and is styled after the famous Karl Kenyon Trigger. Note: Kenyon-style are assembled without a safety. 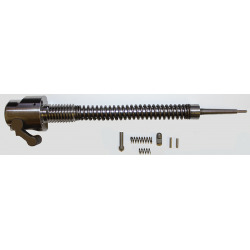 We strongly advise using a safety device such as a three position safety firing pin assembly. The factory bolt stop will not work. 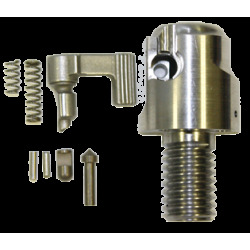 The Stiller Nosler type bolt stop is also an option for these trigger assemblies. 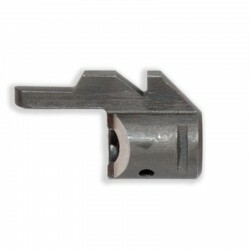 This trigger has an adjustable pull weight from 6 ounces to 3.5 pounds and is manufactured from 01 tool steel. Adjustable Pull Weight: 6oz to 3.5 lbs.